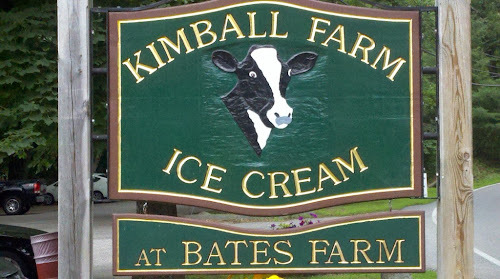 I was introduced to Kimball Farm a few months after my wife and I started dating. I often wonder if she had to choose between ice cream and yours truly she would probably pick the former. I'm kidding (at least I HOPE she would choose me) but she does love it and I learned to enjoy it as much as she does. Why is it so good? 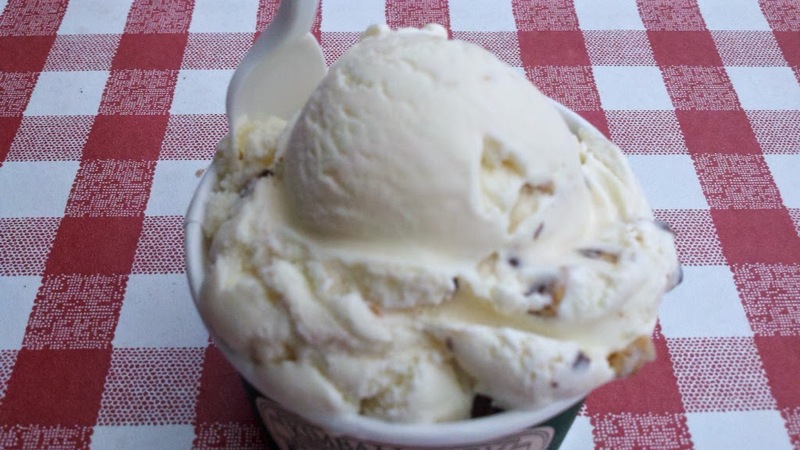 Kimball’s has perfected the perfect balance of a creamy buttery flavor and large chunks of whatever you want. My wife and I enjoy ice cream very differently and I think most people fall into one of these two categories. I devour my selection in a matter of minutes while she enjoys every bit and takes her time doing so. Either way there is no doubt in my mind that you will keep going back for more. At Kimball’s I usually order the vanilla peanut butter cup and my wife’s typical selection is the mocha almond. On our last visit we got two kiddie size cups for $8:50 and this is so worth the money. The servings are huge so play it safe and order the kiddie unless you are ravenous. 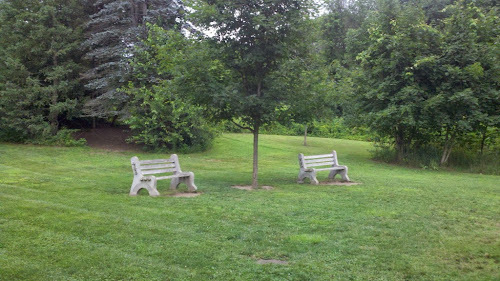 The grounds at Bates Farm are beautiful. There are woods and trees throughout if you want some shade. They have a few farm animals on the left side of the building and flowers out front. There are also picnic tables and benches if you would like to sit down and relax. Remember to be aware of your surroundings - during the summer months as their lovely grounds do attract yellow jackets and these pesky insects can sting. 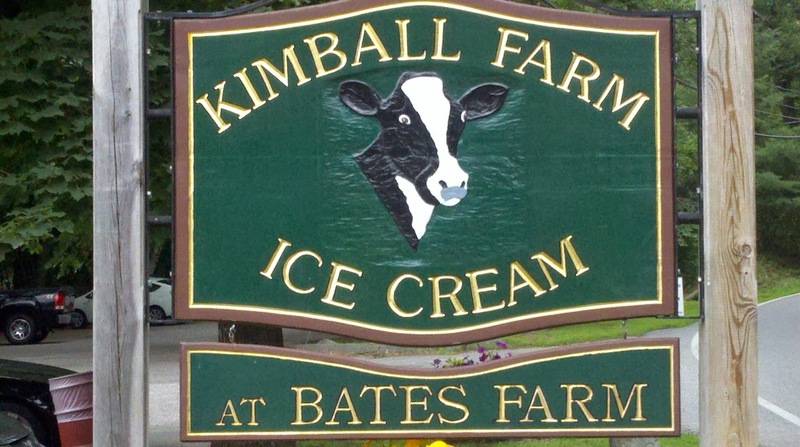 Kimball's has three other locations: Jaffrey, NH, Westford and Lancaster, MA. For those of you with children, you might want to consider a trip to Westford since they also have mini golf, an arcade, and bumper boats. Plenty to choose from for one of the best Ice Cream stands in New England.